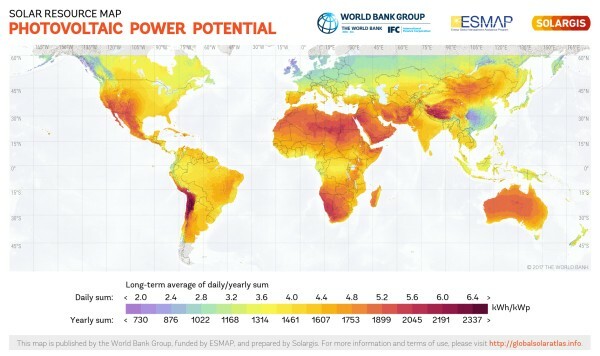 The Zambian solar power potential is high. In general, only 31% of the population has access to electricity. In rural areas, this average is even lower. Here the rates lay between approximately 4% and 11%. At the same time, the demand for electricity is growing, which shows the potential for generating more electricity. This gap can be filled with the abundant energy resources Zambia has.These range from biomass to renewable energy sources such as wind, hydro and solar power. The only fully imported energy source is petroleum. 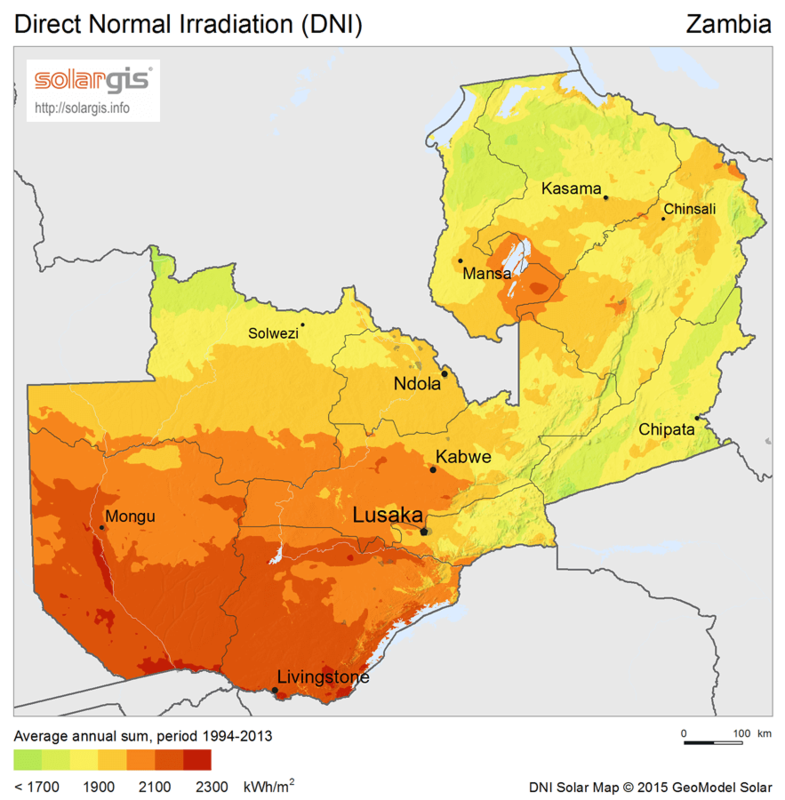 The location of Zambia just south of the equator gives it a high solar potential to generate electricity both on-grid and off-grid. Every year, Zambia has an average of 2,000-3,000 hours of sunshine, which is high compared to the rest of the world (see image 1). The average irradiation level is 5.5 kWh per m2 (each day), which makes it naturally suited for solar energy generation. The southern region experiences the highest global solar irradiation, as shown in image 2 below. Furthermore, for specific access and irradation rates per region, view table 1. More on the solar sector in Zambia here. SmartSolar Zambia offers personalized assistance in finding smart solar solutions. Our goal is to provide the right knowledge and tools to choose the best solution.